[toc]Premature hair loss is a prospect no one really looks forward to. Yet, it is an affliction that is soon catching up to all of us. While expensive treatments and hair replacement therapies are on the rise, nothing can beat the instant effectiveness of herbal therapy. Before the advent of modern medicine, nature had answers to afflictions, both big and small. Thus it should come as no surprise that nature should have a solution for hair loss problems. 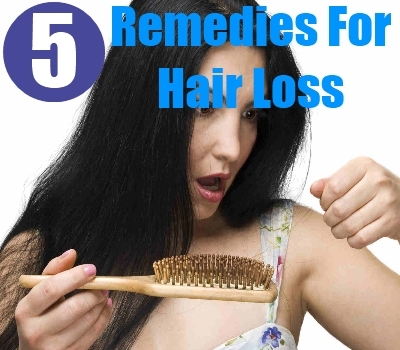 These remedies are simple and effective enough to promote hair growth and let you have the lustrous mane that you dream of. The world would indeed be a dark place had aloe vera never appeared on the face of the earth. This wonderful herbaceous plant is not only the solution to hair problems, but provides ample options in curing mostly all health issues. Aloe vera at its freshest, contains a rich dose antioxidants which can remove free radicals from your system. When applied topically, aloe vera has the remarkable property of inducing hair growth. It is an excellent anti-inflammatory, anti-fungal and anti-pruritic agent. The proteolytic enzymes contained in aloe vera juice can reduce irritation, dryness and promote smooth and healthy looking hair. Aloe vera gel has ample quantities of keratin which is the protein associated with healthy hair growth. In addition, aloe vera contains a healthy dose of repairing vitamins and minerals. The most important of those are thiamine, biotin and Vitamin K. To reap the maximum benefits of aloe vera, invest in fresh leaves. The fresh pulp obtained from the leaves can be smeared all over your scalp and hair. Leave it on for two hours and wash your hair with shampoo and conditioner. This remedy if done on a daily basis is sure to reap results in a month’s time. 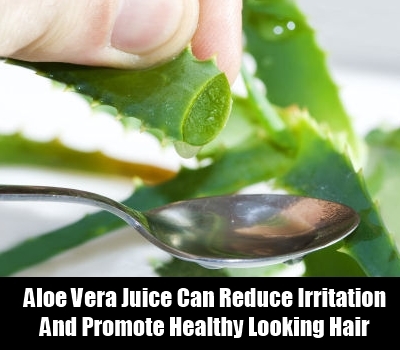 Taking aloe vera supplements and the juice regularly will also boost hair growth. This legendary root has offered us with a number of cures and it should come as no surprise that it bears the solution for alopecia as well. The root is enriched with natural vitamins, minerals and antioxidants, which have often been rumored to reverse the effects of aging on our bodies. Essentially, ginseng infusions have the ability to improve circulation and reactivate barren hair cells on the scalp. 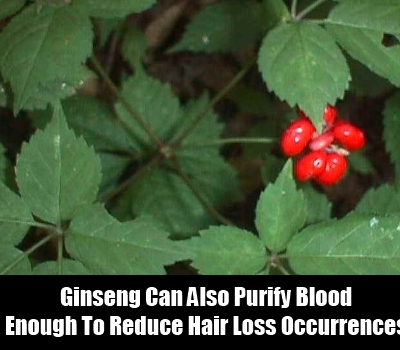 Ginseng can also purify blood enough to reduce hair loss occurrences. There are an ample number of herbal stores which sell ginseng supplements. One can choose to take them along with other Vitamins for complete effect. However, nothing can compare to direct shock of goodness that fresh ginseng can give to your hair. Many people choose to brew sliced ginseng roots with their tea. This infusion once strained and regularly consumed can provide the desired effect. Not only will your hair fall stop, but you will soon see new follicles sprouting from your scalp. 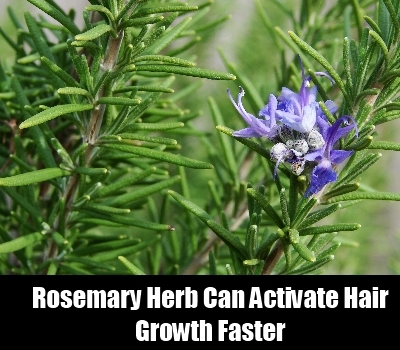 There’s no other herb that can activate hair growth faster than rosemary does. An aromatic herb of much repute in culinary sciences, rosemary has a significant application in arresting hair fall. This precious herb contains beneficial properties that activate barren hair roots. It promotes circulation to the scalp, takes care of dandruff, dryness, irritation and itching. Pure rosemary oil when applied on a regular basis arrests hair fall and induces new hair growth. It can darken grays and make hair shiny and strong, once again. The simplest way to reap benefits of this treatment is to purchase the essential oils available in herbal stores. The oil can be warmed up and applied directly to the affected areas. You can even acquire dried rosemary leaves and prepare a water-based infusion to use as your last rinse after bath. You will see significant results in a short while. 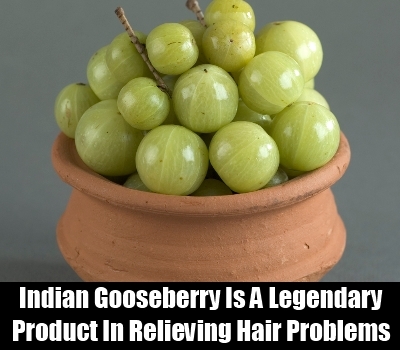 Indian gooseberry better known as Amla is a legendary product in relieving hair problems. The ripe fruit alone produces enough nutrients to replenish hair loss. Rich in vitamin C and keratin, Indian gooseberry is a boon for rich and lustrous hair. In addition, the Indian gooseberry possesses plenty of Vitamin B and essential minerals like magnesium, phosphorus and carotene. These minerals are the building blocks of hair. Indian gooseberry can be applied in a number of ways. It can be dried, powdered and mixed into any herbal hair concoction to give it enviable strength and shine. You can also ingest the juice to internally fight hair loss. With regular application and subsequent consumption, you will notice a marked difference in your hair. Commonly known to herbalists as Jatamansi, the Indian Spikenard is a miracle root, which contains potent solutions to all hair problems. This herb might look shrivelled and dried up, but there’s more than what meets the eye. When boiled in water for at least half an hour, the tincture is literally food for hair. Its powerful catechins resolve follicular issues, rebuild hair at cellular levels, darken greys, remove dandruff and lend a shine that is sure to stop traffic. 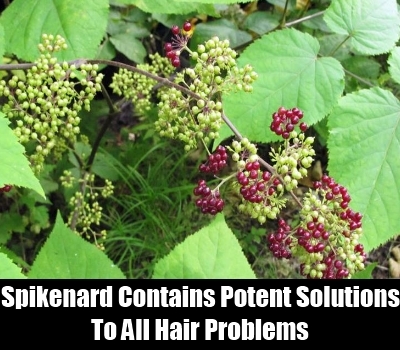 The Indian Spikenard is available at any leading herbal store. The given concoction can be applied once a week for a month at the least before fruitful results can be expected. Hair loss, in its essence, is like any other affliction. With the right treatment, you can have your lustrous mane back in no time.